Wednesday, January 27, 2010, 10am Pacific. The moment when Steve Jobs (or Phil Schiller) will step onstage and (probably) announce the Apple Tablet is almost here. 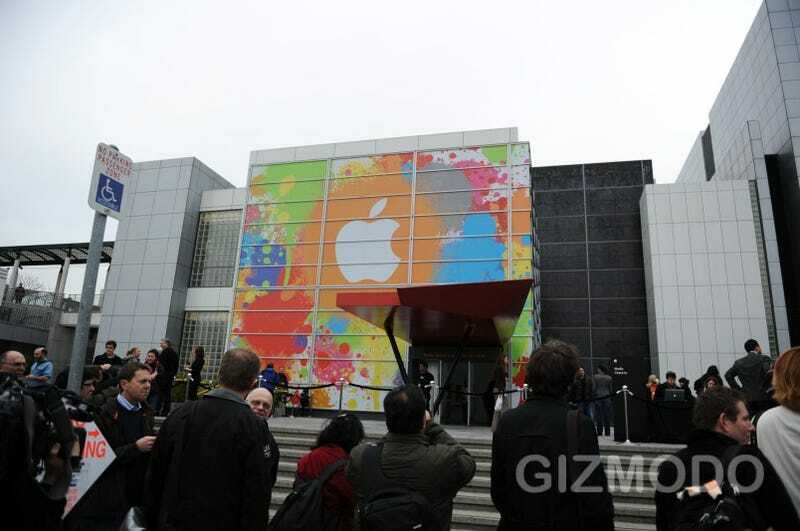 Tune in NOW at live.gizmodo.com, so you don't miss a bit of our liveblog. So far, we've got our usual pre-game countdown, with observations of the line, celebrity look-a-like sightings, angry rants about how cold it's going to be in SF, and photos of what people are wearing. Us? A tasteful Target and Walmart ensemble, naturally.